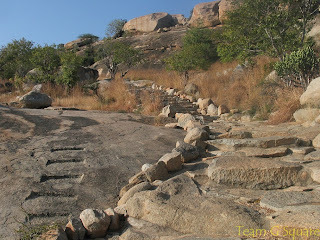 One Saturday, we planned to visit Chitradurga and explore Brahmagiri and its environs the next morning. 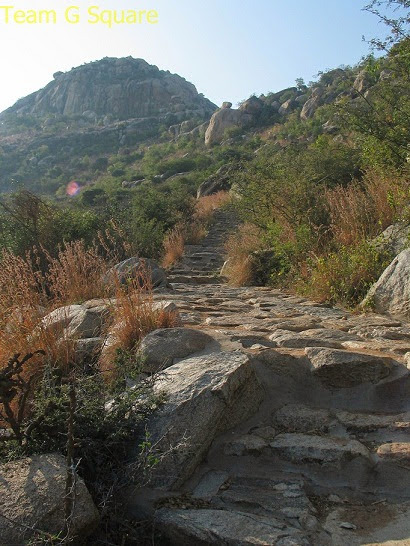 Brahmagiri is one amongst the most ancient places in Karnataka and is located in Chitradurga district and also very close to Bellary. 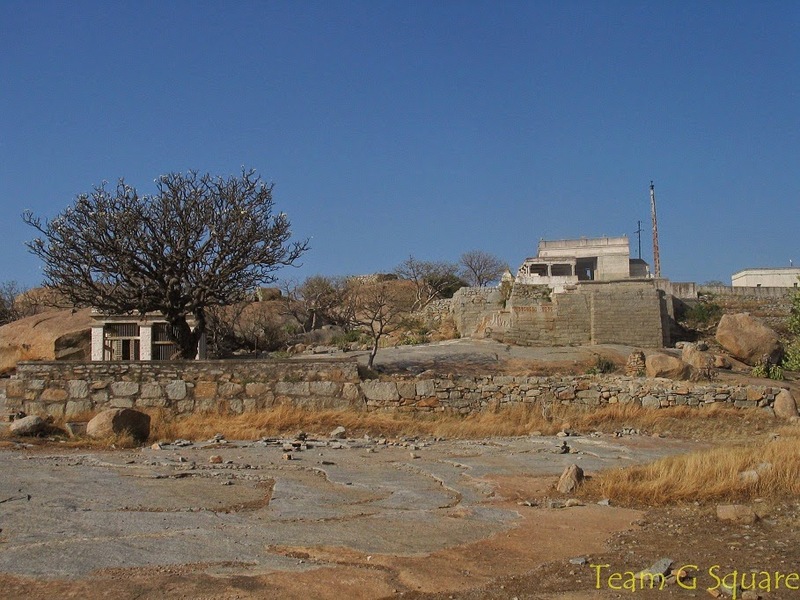 The three sites of archaeological importance here are Brahmagiri, Asoka Siddapura and Jatinga Rameshwara. All the three sites house minor rock edicts of Emperor Asoka of the Mauryan period which were first discovered and reported by Sir Benjamin Lewis Rice in the year 1892. 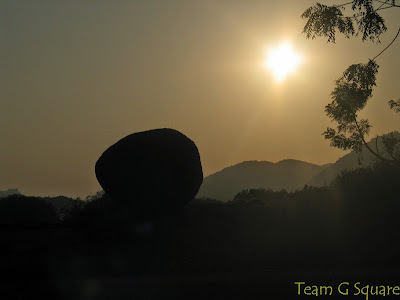 Our plan was to explore Brahmagiri, Asoka Siddapura and finally Jatinga Rameshwara. But while traveling towards Brahmagiri as per our plans, we missed the cross that turned right towards Brahmagiri and proceeded further. On inquiring, we realized we had come too far and had to make a U turn to return. While returning we found a board directing us towards Jatinga Rameshwara and hence decided to explore this place first and later move on to the next site. Jatinga Rameshwara is a hillock located off the Bangalore - Bellary highway. 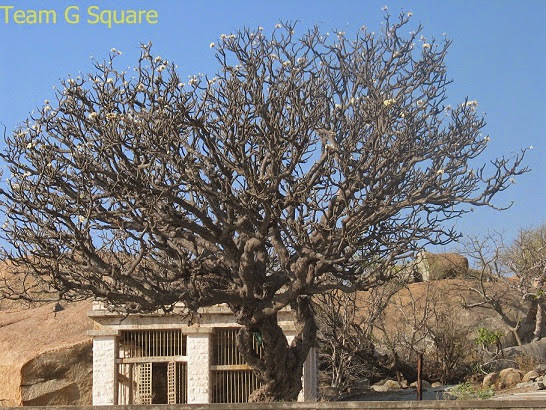 It houses a fort and Asokan minor edict. As we approached the hillock, we realized there was none around and so we ruled the hill. The place covers a vast expanse and viewing this wide stretch of hill range, a momentary doubt arose in our minds of whether a complete coverage of the place would be possible. We set our time limit as we had two more sites to explore and started our ascent. Steps are laid up till the first tier of the fort and hereon, the terrain turns flat making our walk easier. As we walked on, we found a shelter and a little further was a temple complex. 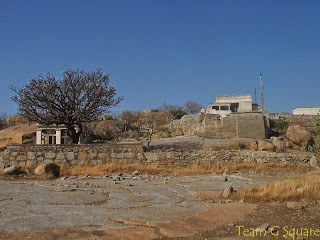 We headed towards the shelter in search of the Asokan edicts. We entered the room and started examining the rock for the presence of any edicts. 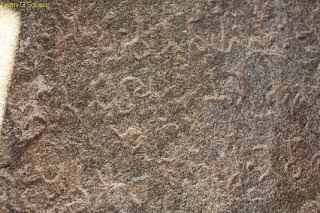 Finally we found a few letters etched on the rock that remained intact while most of the letters have been rubbed away and erased due to wear and other various natural activities. The efforts of one British Officer Sir Mortimer Wheeler who was solely responsible for building a permanent shelter in order to preserve the rock edicts is worthy of mention and much appreciated. From here, we moved towards the temple complex. Good thing is, it still exists. I wish I had more time to visit these little known places. Great pot and thanks so much for these glimpses. Another wonderful find, the rock edict looks intriguing... would be waiting for more. Spectacular captures and a lovely narrative as always. Interesting place. Nice to see that you are covering all these little known places. It's wonderful that at least some of the rock edit has been preserved. This looks like a fascinating site to explore. 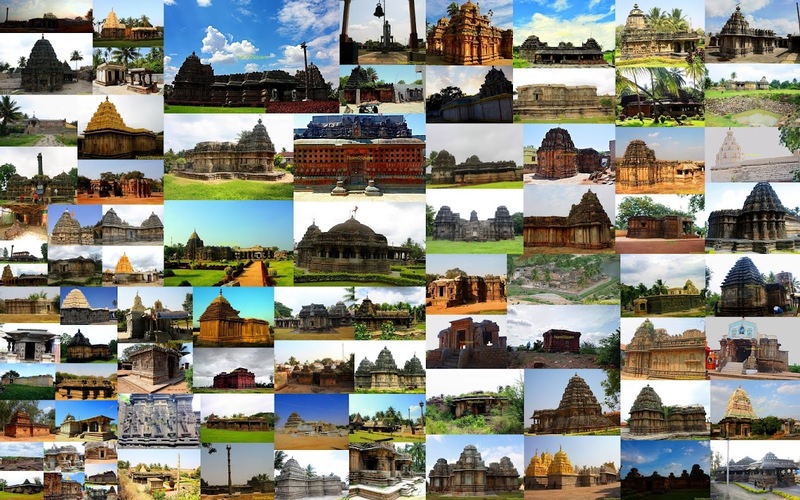 Lovely images and seems like a wonderful beginning to an interesting travelogue! Wonderful experience. I would love to be there. Interesting place.You tons of info with beautiful pictures. Thanks for the pictures here and on other sites as well. 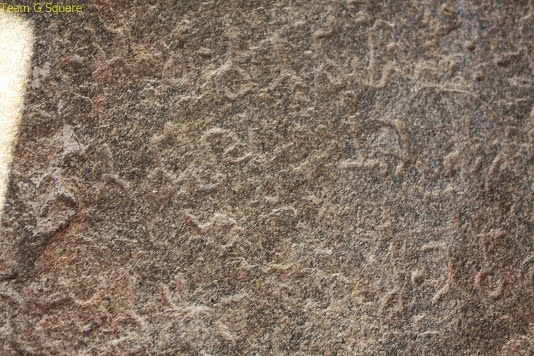 With a very good sense you just made a shot of one of the most crucial parts of the Asokan edict in Jatinga-Rameshwara. Some letters there in the middle have been undeciphered by scholars for ages now. May I perhaps ask you to send this photo, that is, the last one in your series named "Asokan edict" in best possible quality to my email address, please? I would be grateful for this and even if you have some other photos of the same edict.